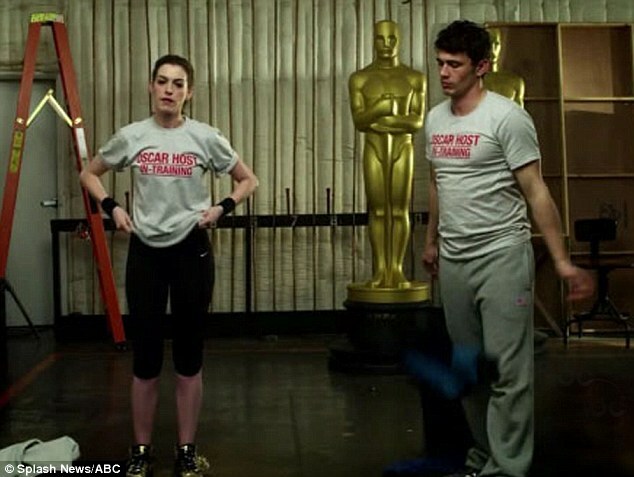 If Oscar was real, I would probably marry him. Ever since I can remember, my mom and I have always loved the red carpet magic. The gowns, the tuxes, who will win, who talks forever, and who gets gypped. When I was in high school, I became a host, and began to throw my own infamous Oscar parties. My dad used to set up a red carpet in front of our house and lights along the edge of the front sidewalk. My mom would cook dinner and set up an ice cream sunday bar. Throughout the month of February, everyone anticipated Oscar Sunday at my house. However, I have been missing my hosting position these last couple years, due to living in a dorm. But, this is about to change. I made Parmesan popcorn. I actually pop my own popcorn (future blog tutorial), but you can just use a plain/unflavored microwave popcorn bag. Any brand will work as long as it is without butter. This is perfect for a last minute goodie bag or Oscar snack! 2. I buy a pre-shredded pack of Parmesan cheese. However, if you have a food processor, I like to grind the cheese to a finer texture. If you don't have this equipment- it should still work fine! 3. Pour two tablespoons of olive oil over the popcorn. Put in cellophane bags and tie with cute ribbon. I even found movie-themed keychains to attach. All my Oscar training has led me to this moment: hosting the Oscars solo. Food alone makes a great snack. But it's a meal that brings friends together. Whether it be girls fondue/wine tasting night, homemade popcorn while playing Super Smash Bros on N64, a sugar rush from cupcakes that cause an instantaneous Spice Girls and Backstreet Boys dance party, or maybe just a little bribe to make the study group come to your place in the cold. I had a midterm in a class and figured that it couldn't hurt to have a study group with a little cup of chili con carne on the side. I believe it contributed to the fact we all got A's....it also helped that the class is called Lost Tribes and Sunken Continents. Got to love electives. This recipe is very simple, where you just throw ingredients in the pot and let it simmer. Fool-proof. Notes: You will need a food processor to grind the meat just a little. This just adds texture to the dish. Grandma's secret: In order to make the sauce/chili less runny, strain the fat out of your beef after you cook it. Once browned, simply take it out of the pot, and put it in a strainer in the sink and run cold water over it. Once the beef is cool to touch, squeeze any liquid out of the chunks. This takes the fat out and makes the chili a little more healthy. In addition, this post is a little bit of a special set up! My friend Jennifer had to do a project for her radio class that focused on natural sound. So, she did a clip of me making Chili con Carne. I combined my pictures with her audio to show my process, check the video below. In a large pot cook the chuck over moderate heat, and breaking up any lumps for 10 minutes, until browned on all sides. Remove and put in strainer. Drain fat. Then add onions in the oil over moderately low heat, stirring occasionally, until they are softened, add the garlic and the carrots, and cook the mixture, stirring, for 1 minute. Add the chuck and stir. Next add the chili powder, the cumin, the paprika, the oregano, and the red pepper flakes and cook the mixture, stirring, for 1 minute. Add the tomato sauce, the broth, and the vinegar, bring the mixture to a boil, and simmer it, covered, stirring occasionally, for 50 minutes to 1 hour, or until the meat is tender. Add the kidney beans, the bell peppers, and salt and black pepper to taste and simmer the mixture, uncovered, for 15 minutes, or until the bell peppers are tender. Even if you have limited cooking experience, you know how frustrating it can be to not have an ingredient available in your kitchen. It can sometimes be irritating when trying to find a recipe last minute, but can't use it because of missing a couple small ingredients. Sometimes you just got to go with the flow and work with what you have. Gradually, I am learning on how to do this. If I am short on an ingredient, I will often use google to find a substitute. As I have mentioned before, I absolutely love watching the original Iron Chef, Iron Chef America as well as any season of Top Chef. While most of these dishes are way out there and I would only be able to imitate with an extensive culinary education, you can still use it for inspiration. The basis of the meal is still the same, it's how you season it that makes a difference, and the possibilities are endless. You can make a simple paella without having to buy ingredients that you may never use again. I also have a confession. I like to pretend to play my own Iron Chef or Top Chef challenge in my kitchen (just at a lot slower pace!). So, on a Wednesday night, I found myself trying to find a way to use my chicken breast and the rest of my vegetables while they were still ripe. I based my recipe off a chicken paella recipe and experimented. I'm not sure if you can classify this as paella exactly. It's more of a stir fry/paella combination. Most paella often includes shrimp- however I still have not acquired a taste for any delicacies of the sea. (Though I keep trying for my mother) Thus, you can adjust recipes for your own liking- and this was one of the best things I've made while going off the recipe map. 1. Heat heavy large ovenproof skillet over medium-high heat. Pan-sear chicken. Cook 4-5 minutes on each side. Chicken will have a light brown color. Remove from pan and allow to cool. 2. Add chopped onion and cook until translucent for about 4-5 minutes and stir often. Then add minced garlic and stir 30 seconds. Add rice and cook for a couple minutes while stirring. 3. Stir in wine and chicken broth and bring to boil, scraping down the sides to prevent burning. 4. Once the rice has softened (it will expand in size), chop tomatoes and red peppers and add them to the skillet. 5. Bring to simmer and make sure rice is cooked through as well as snap peas. Chop chicken into rough pieces, add and mix well. After a long awful day of studying for my huge history test, finishing a project and going to class, I considered myself a lucky girl to find a dozen roses at my doorstep to make my day a little better. Long distance is always hard, but it's time like these that make me feel like Ryan's there in spirit. I knew I had to do something fun and different for Ryan's gift. We're really not into giving expensive presents, we are in college after-all. Instead, we try to make it personal, and I think it makes it so much more meaningful and memorable. For instance, this Valentine's Day (besides the roses he sent) he gave me a bunch of ridiculous magnets for my fridge from his trip to California over break. For Ryan's present, I was inspired by the one thing he loves besides soccer, Speed Racer. 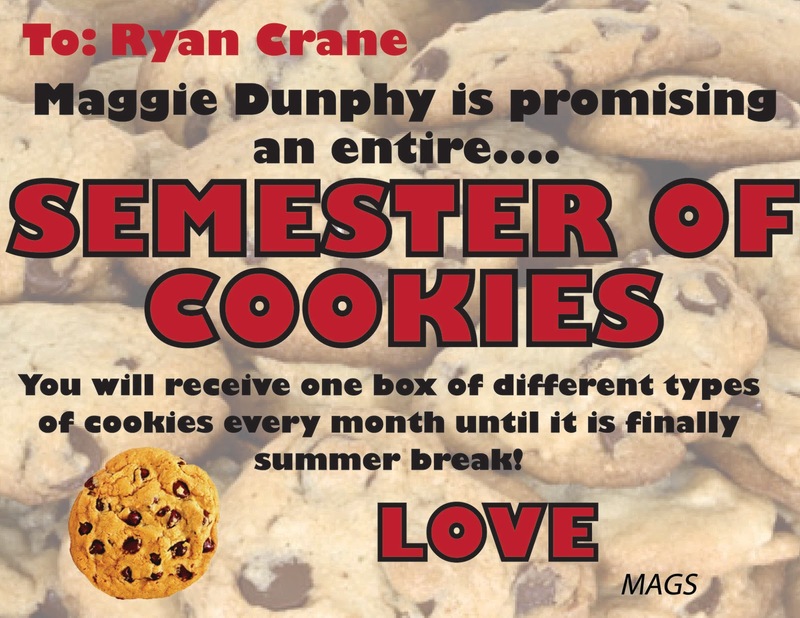 If there's one thing Ryan eats more than cookies, it's chocolate. So, I made him something that he would love, chocolate race cars. All you need is red (or whatever color you want) chocolate melts and a plastic chocolate mold. You can find these at any Michael's, Joaan's or even a Wal-mart near you. Note: Just because they are colored- they still taste exactly like white chocolate. Take the chips and melt them in the microwave. Heat them in 30 second intervals, stir, and then place back in the microwave. Heating the chocolate in short intervals prevents it from burning. Eventually-as the chocolate melts- the consistency becomes smooth. Buy your mold- whether it be race cars, flowers, hearts -you name it, they probably have it. If you want them on sticks- you can buy lollipop sticks at a craft store. My mold was actually for pretzel rods, but I decided to make them lollipops. Scoop a little bit of chocolate and lightly cover the base of the mold. Place the stick- so half of it's in the chocolate and half is hanging on the side. Then cover with more chocolate until the stick is completely covered and the mold is completely filled. (I think -> they look like little lobsters instead of cars). If you want to get rid of air-bubbles gently tap the mold. Then, carefully transfer the chocolate mold to the fridge and leave for 15-20 minutes until hard to the touch. After the chocolate is cooled- turn the mold over and the race cars will fall out perfectly. My family has a tradition when my dad goes out of town for business. The Dunphy girls make breakfast...for dinner, which for some reason my father cannot stand. We have recently started referring to it as brinner. Waffles, french toast, pancakes, and of course bacon- we refuse to limit ourselves. Ryan (the bf) and I have always loved to go out on brinner dates from the very beginning (aka makes him a keeper). Sometimes a fancy dinner, just cannot compare to the chocolate chippies (chocolate pancakes) at Walker Bros! So, last week when I was running low on groceries, I decided to use whatever I could find to make a brinner dinner. Instead of just using a pre-made mix such as Bisquick, I found an amazing pancake recipe requiring only a handful of ingredients but with a punch of flavor. It doesn't take much longer than using a pre-made mix. Apple Lemon Pancakes- are absolutely amazing. I love tart Granny Smith apples and a citrus zing and as you know my favorite recipes are the easy ones. This is a really healthy recipe- but if you want to add a little bit of evil on the side, definitely make the cinnamon butter (also literally just throw the ingredients in the bowl- mix and done). Whisk flour, brown sugar, baking powder, and salt in large bowl. Make well in center of dry ingredients. Whisk in milk, eggs, and 1/4 cup melted butter until smooth. Cover and let batter stand at room temperature at least 30 minutes and up to 1 hour. Heat heavy large nonstick griddle or skillet over medium-high heat. Brush griddle with some of remaining 1/4 cup melted butter. For each pancake, drop 1 heaping tablespoon batter onto griddle, spacing pancakes apart. Cook until golden on bottom and bubbles start to form on surface, about 3 minutes. Turn pancakes over. Cook until golden on bottom, about 2 minutes longer. Transfer pancakes to baking sheet in oven to keep warm. Repeat with remaining batter, brushing griddle with butter before each batch of pancakes. Good news fellow readers- I have been stressed out. Which is not so good, but at the same time very good, because when I'm stressed I go into a cooking frenzy. My week is finally starting to open up- so get ready for a ton of posts in the next week. Super Bowl Sunday- was unfortunately... boring (BOO PACKERS AND GO BEARS!). However, it was mostly due to the fact that I'm now currently in the midst of the busiest week of my entire semester and also having to endure the worst half time performance every by the Black Eyed Peas. Unfortunately, I had to stay in to prepare for my tests, midterm, photoshop project- you get the picture. So, I made the most of it! My mom always used to buy pre-made chicken cordon bleu packages that she would just throw in the oven for a quick dinner, and they were one of my childhood favorites. FALSE!- One of the easiest chicken meals I have made yet- with one damn good kick in flavor. Also paired with this cranberry chutney recipe and it was the perfect combination. Flatten the chicken, place ham and cheese in the center, roll, and bread it- throw it the oven, and you are done! It took about 15 minutes just to prep. There is a panko-bread crumb layer on the outside of the chicken- it's almost exactly the same as the chicken fingers. Make sure to use panko- this is what gives the chicken its crunchy texture. Apparently adding the melted butter to the crumb bowl intensifies the crunch- which actually worked! Flatten your chicken using a mallet, rolling pin- or like me you can take your aggression out by using your fist like me. My mom said what are you boxing with chickens for? Apparently, she will now be sending me a mallet in my next care package. Just make sure you clean whatever you use because of the salmonella. Prosciutto can be very expensive, so don't buy the pre-packaged unless you are going to use it for a couple recipes for that week. It's cheaper to go to the deli counter and ask for a couple of very thin slices. I got 5 slices for $2.00. Not too bad- since it's usually $10 a lb for domestic. My local grocery store doesn't carry the imported which can be up to $20 a lb. However, personally because of my Italian blood- there is no true substitute that is as savory. If you've never had it- it's like a salty very light ham that literally melts on your tongue. Also- if you are on a budget instead of using Gruyere cheese (similar to Swiss cheese), I used a Kraft Italian Cheese blend. Some other reviews suggested to try a Cheddar if you don't enjoy a Hard Swiss/Parmesan like taste. 2. Place the chicken between 2 pieces of plastic wrap and using your fist or mallet- lightly pound until chicken is about 1/4 inch thick. 3. Remove top layer of plastic wrap. Lay two slice prosciutto on topside of chicken as well as scatter the 1/4 cup of cheese on top. 4. Roll chicken up like a jellyroll inside the plastic wrap- it will look like a log. Twist the ends so the chicken is tightly wrapped in middle. C. Combine the panko bread crumbs with thyme, garlic, salt, pepper and melted pepper. 7. Dip chicken into the beaten eggs. Then gently cover in the crumb mixture. Make sure chicken is completely covered. 8. Place in baking pan lightly coated with olive oil. 9. Bake initially for 25 minutes- (mine ended up taking 40 minutes but I had a fairly large chicken breast). The crumbs should be browned and the chicken needs to be cooked through. 1. Combine ingredients over low/medium heat for 10/15 minutes. Cook until cranberries are tender but not popped or falling apart. All this cold weather and with the snowpocalypse rapidly approaching....I can't help but feel that lately everyone's been a little down, tired and cold. So I'm bringing a little of that Christmas cheer back in action...but I promise it relates to now! For Christmas this year- I had no idea what to get Ryan, no surprise there. He's probably one of the hardest people to shop for, because he has a steel grip insistence that he doesn't need anything. Very romantic and all (lol), but this means I of course stress out whether or not I got him the right thing until after he opens it. However- this idea was fool-proof. This is the perfect gift for a long distance relationship, but I have to credit my mother for the idea. I just shipped his cookies today....but at least it was postmarked the 31st!! You know me- always running around like crazy. Anyways- if you are not so great in the kitchen- I swear that these cookies are not only easy, but will impress your friends, family, significant other, or any chocolate/caramel lover. Not only do I owe my mother for the present idea, but my first cookie batch. I didn't believe her when she told me, but all you need is 1 egg, a half stick of butter/margarine, 18 pecans, and the secret ingredient.....a box of Ghiradelli Caramel Turtle Brownie Mix.....yes BROWNIE MIX. Drop by rounded tablespoons, 1 inch apart, onto ungreased cookie sheet. With thumb or handle of wooden spoon, press indentation into center of cookie dough and fill with caramel.